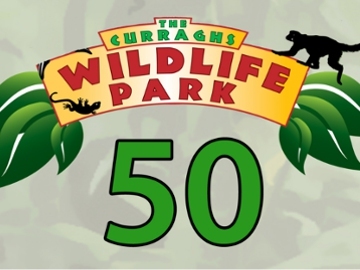 Curraghs Wildlife Park has met its target to raise enough money to buy 50 acres of rainforest to celebrate its 50th anniversary. 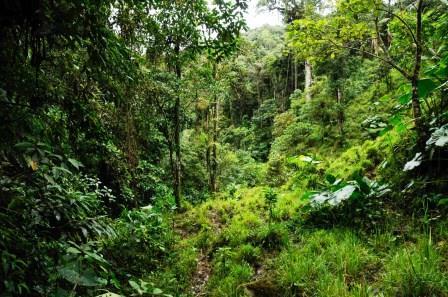 The park’s conservation fund has sent £5,000 in total to World Land Trust (WLT) since March 2014 for the purchase and protection of part of the Chocó rainforest in Colombia, South America. The park raised the sum by selling badges and inviting donations for children’s craft sessions, eye-spy competitions and seasonal trails. The climax of the fundraising was a sell-out evening with well-known wildlife artist Dr Jeremy Paul, organised by the Friends of the Wildlife Park, which raised more than £1,000. The conservation fund chose to support land purchase in the Chocó because the rainforest is one of the wettest places on the planet and the wildlife park is located within a wetland of scientific interest. Many of the species in the collection, such as the Spectacled Owls and Spider Monkeys, come from South American rainforests and it seemed fitting to support conservation in Colombia. Kathleen praised the generous contribution of visitors and supporters. “We are pleased to have reached our target before the end of our anniversary year. We are incredibly grateful to our visitors, members, volunteers and Friends, who have all done their bit to raise the funds,” she said. The wildlife park has also confirmed that the conservation fund will continue to send an annual donation to WLT’s Keepers of the Wild programme.